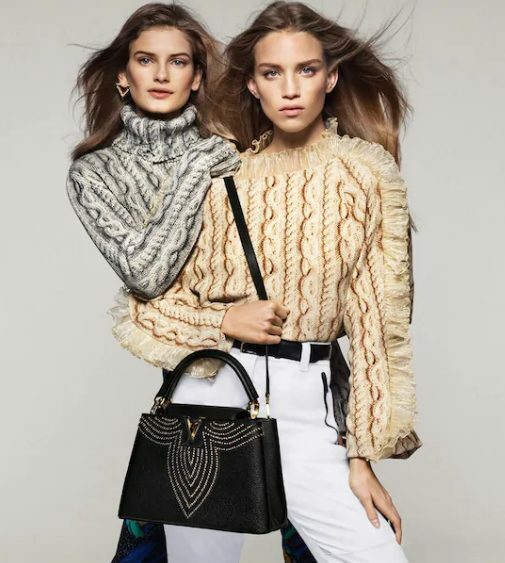 With the arrival of Louis Vuitton’s Spring-Summer 2019 Collection comes a new crop of Capucines bags. The understated simplicity and clean lines of Louis Vuitton’s Capucines bag have made it an ideal canvas for new variations season after season. For Spring-Summer 2019, fresh finishes of the Capucines are now available that bring unique twists on this Louis Vuitton New Classic bag. A gradient effect has been added in beige or pink, metallic beads have been hand sewn into a fleur-de-lys pattern, and a chain with Louis Vuitton-inspired charms has been added for a chic touch.